A plenary debate focused on the challenges and potentials of science communication and we took part. It belonged to a workshop for young scientists held in Berlin in January 2017. The event, organised by the College for Interdisciplinary Educational Research (CIDER) and the Leibniz Education Research Network Alliance (LERN), adressed interdisciplinary cooperation in educational research. In accordance with this idea, the panellists also came from different backgrounds, ranging from economics to innovation management and international cooperation. Thorough knowledge of their research topic will also help aspiring educational researchers when navigating the political arena. 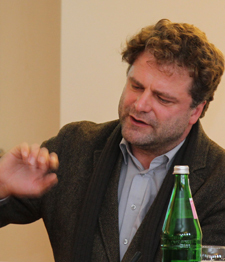 Whilst the panellists agreed that the decision whether money is spent on a particular research question is often made on the political level, Dr. Jean-Paul Reeff, independent consultant and a senior consultant for DIPF in the fields of innovation management and international cooperation, stressed that “these decisions do not just magically appear”; there is an implicit process where scientists need to continually communicate their research interests and ideas in order to shape political decision-making. As Ms. Spieß added, this process is supported by research communities such as the Leibniz Association, enabling researchers to set their own agendas to a certain extent. Whereas politicians may look for quick and general answers from educational research, educational practitioners have different needs. As for his work at DIPF, Mr. Klieme put it this way: “At the end of the day, what matters is: do we reach the profession? Because they are the ones who determine the quality of education.” Whether or not the evidence from educational research can reach them is cause for debate, however. As Mr. Heinrich pointed out, for many teachers evidence and findings from large scale assessments will have to be recontextualised before they can be put into practice in a given classroom. 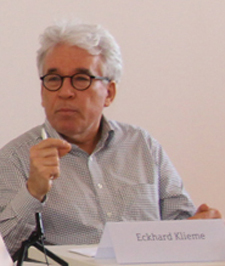 Mr. Klieme suggested that because research is highly context-dependent, the aim of educational research should be to “provide concepts and tools to professionals, rather than relying on the idea of evidence-based teaching, guided by top-down application of research findings.” He further noted that educational research should not only take into account that any evidence will have to be used according to the individual contexts teachers may find themselves in, but that this will be done according to the values that inevitably guide their teaching. 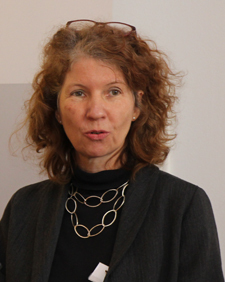 “Educational researchers should be aware of these values – and themselves be transparent about the underlying assumptions that go into the development of studies or the assessment of education institutions’ performance”, Ms. Spieß added. A value-based approach is not only common in teaching, but also in the public debate on educational matters. 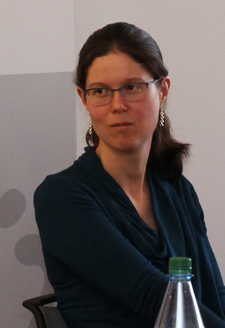 In light of the particular sensitivity that often characterises this debate, Ms. Spieß argued the case for honesty when communicating with the media: “If you don’t know the answer, don’t pretend you do” – her advice for young researchers would be to keep in mind that not answering a question is indeed an option. 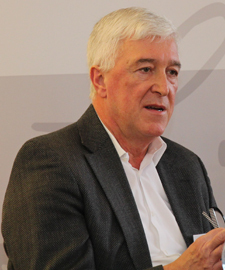 And even though an audience may be looking for a straightforward answer, “sometimes you will have to remind them that things are complicated and results differ depending on various factors”, says Spieß. This also applies to the specific background and assumptions underlying any educational research. As Mr. Heinrich put it: “When speaking as an expert, you have a certain power. In order to legitimise this, you must be explicit about your normative background.” A notion that Mr. Klieme seconded: “When we want to reach out to the public, we should not pretend to only be delivering facts and data but make clear that we are also delivering concepts and values.” With this in mind, Mr. Reeff made a case for embracing working with journalists and using their ability to explain things in a way that is well understood not only by a broad audience, but also in a way that can help researchers prepare the grounds for conversations with politicians and policy-makers. As moderator Arwen Cross concluded: “It is important to be able to clarify what your research is about in a short and sweet fashion.” And target it to your audience, we may add. More information on the Leibniz Education Research Network Alliance (LERN) can be found here. Find out more about the College for Interdisciplinary Educational Research (CIDER) here.